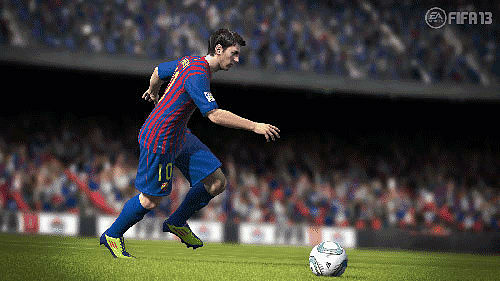 Recreate the drama and unpredictability of real-world football with FIFA 13. The latest entry into this hugely successful series continues to push the boundaries of football games, creating a true battle for possession across the pitch, and connecting the fans to the sport – and to each other – more than ever before. 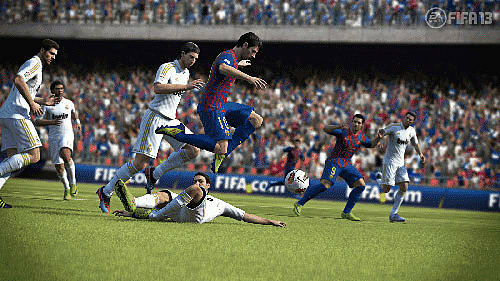 FIFA 13 delivers five new innovations in gameplay to revolutionise your matches, and more online features to make you really feel part of the beautiful game. The FIFA Ultimate Team is a massive online community where over 5 million fans build, manage and compete with their dream football team against their fellow players, and FIFA 13 takes this beyond the game for a truly immersive experience. Buy, sell and trade players with other Ultimate Team Members around the world, and access your account online to continue managing your team outside of the game – and beyond the confines of your console! Build your ultimate football club the way real-world coaches and managers build the truly great football teams. Match your dream team against your friends’ best teams whenever you want. Create and manage multiple squads and take them into competition in online and solo single-player tournaments, all dynamically updated each week. The FIFA 13 Ultimate Edition lets you build your Ultimate Team faster and stronger with 24 FUT Gold Packs. Delivered once a week for 24 consecutive weeks, these much-coveted packages include the world's greatest players and rare in-game items to gradually build your squad. Keep the best players, auction off those who are underperforming and earn the money you need to put together best team possible – the Ultimate Team! Each Gold Pack includes a mix of 12 items. Managers, players, stadiums, staff, fitness and healing, balls and more could be included, and you're guaranteed to get at least one rare item, such as enhanced player attributes, longer contracts and the world's best players. New First Touch Control – ball control gets real! New Attacking Intelligence – attack as a team! New Complete Dribbling – every touch matters! New Player Impact Engine – get defensive! New Tactical Free Kicks – psyche out your opponent! EA Sports Football Club – rewards, chats, challenges and more await online! Promising the biggest change – and the biggest swing towards a more realistic football experience – is First Touch Control. This revolutionary new feature will transform the way you control the ball, restricting the near-perfect touches of previous games to only the best players. Poor passes are harder to control as everything from the speed and direction of the pass to the positioning of the players around you will dictate whether you receive the ball or lose control. 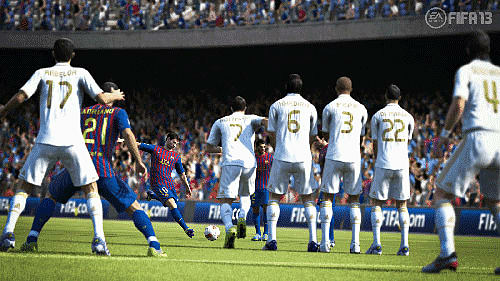 With the chance to over-hit passes and more loose balls, FIFA 13 becomes almost as unpredictable as the real thing! Experience teamwork like never before with the new Attacking Intelligence. This new intelligence will analyse plays and predict the direction of the ball, putting your fellow players where they need to be to create the best attacking opportunities. Break down defences, open passing channels and think two plays ahead to capitalise on runs and openings as they happen! Be more creative when you have the ball with new Complete Dribbling. With precise touches and complete mobility, you can be more accurate and deadly as you control the ball. Shield the ball, move in one direction while facing another and hold off defenders for longer. But it's not all about attacking – defenders get more control and win back possession with the Player Impact Engine. Push, pull and use your body to win possession or just to force your opponent into bad positions and poor touches. Tactical Free Kicks ramps up the psychology and control for attack – and defence. Make dummy runs and increase passing and attacking options, or control the wall by changing the number of players and intercepting or blocking the shot.